The Graffiti Gallery offers emerging young artists an opportunity to show their work through The Urban TALKS Speaker Series. This series takes place 4 times per year with 4 major themes, each theme includes an art exhibit at the Graffiti Gallery alongside multiple workshops involving the chosen topic or art form. Guest artists (both international and local) work with young and emerging artists to develop exciting ways to use the arts as a tool to engage with social justice issues that fosters the development of essential skills including: increased self-confidence, social tolerance, abilities to work within team environment, increased feelings of belonging within our communities and aspirations for success for future endeavours. What Is The Graffiti Gallery? 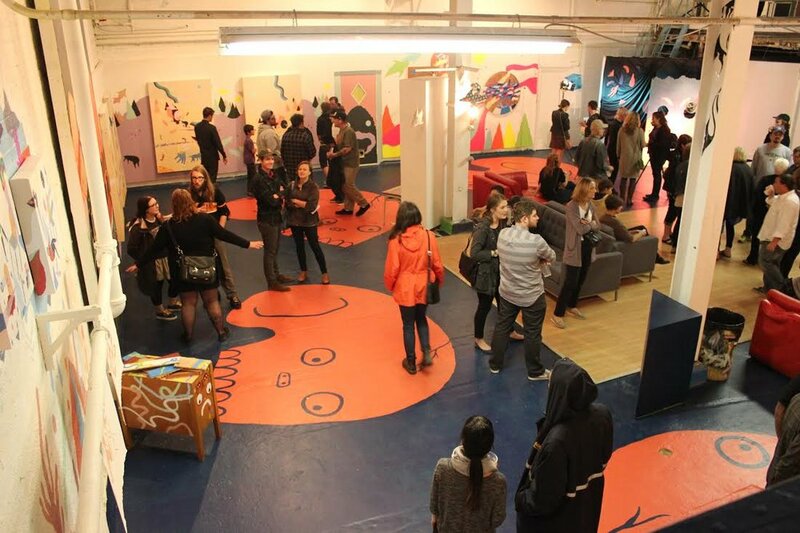 The Graffiti Gallery offers emerging young artists an opportunity to show their work and has been able to fill a void in Winnipeg's arts and culture scene. More than 700 emerging artists have performed or shown their work through the gallery. It was an astounding success. In June of 1998, Steve Wilson met a first year Fine Arts student named Pat Lazo in a small garage in Elmwood. Pat was answering an ad that Steve had placed in a local skateboard shop, looking for graffiti artists that would be willing to paint large conventional style wall murals for commercial clients, as well as spearhead a new graffiti-on-canvas art movement. Eventually, 11 young graffiti artists joined Pat to work out of a makeshift studio in that same garage in Elmwood. They prepared for their first public showing of their graffiti-on-canvas and 3 months later, on the September long weekend, at the music festival at The Forks, they premiered the first ever graffiti style art exhibit. It was an astounding success. Not only did the studio sell 6 paintings, but the people that they met served as a foundation for a network of support that the gallery still enjoys today. Following the success of the first exhibit, it was decided that there was not only interest in what was being done, but also a willing and supportive consumer market for this style of art. In January of 1999, the gallery moved to its current location at 109 Higgins Avenue. Later that year, in April, to a standing room only crowd, the Graffiti Gallery had its official grand opening. By offering emerging young artists an opportunity to show their work; by establishing ourselves as a gallery to facilitate those artists, the gallery was able to fill a gap/void in the arts and cultural worlds. In late fall of that year, a small group of supporters met to discuss the impact, role and direction of the organization. One of its three main focuses would continue to be the gallery. As an art gallery, it was pioneering a cutting edge, contemporary art movement that was appealing to an initially young audience. By offering emerging young artists an opportunity to show their work; by establishing ourselves as a gallery to facilitate these artists, the gallery was able to fill a gap/void in the arts and cultural worlds. Our gallery was able to bring together the artists with curators, gallery directors and university professors under one roof each time an exhibit was opened. Over the years, more than 700 emerging artists have performed or shown their work through the gallery.